Much of perceived reality is like seeing actors on a stage. They are all nicely dressed up and pretending to be someone else. The costumes and the make-up, the gesturing and the motions, the laughing and the crying, are all just to entertain us. Only those who get behind the scenes, and get to talk to them, realize how different they are in actuality. So it is with the phenomenal world, with the world of perceived reality. This is brought home most dramatically when we probe into the ultimate nature of the material world. Up until the 20th century, few had even imagined that in its ultimate roots, matter is so richly complex. As physicists probed deeper into the secrets of tangible substance with their microscopes, both mental and material, they uncovered an utterly different level of existence, more surprising and marvelous than the fantastic world of microorganisms that too remained hidden from human understanding for millennia. Penetrating imagination had taken thinkers of past times into the substratum of matter and it brought to their vision tiny indivisible entities of all shapes and qualities, moving about perpetually, giving rise to the things and smell that we experience and to life itself. These were the atoms pictured in varied forms by ancient Greek, Hindu, Chinese, and other thinkers. They bore a parallel to our own views only in that they were considered small, invisible, and at the root of the material world. Since matter is solid and sturdy for the most part, the ancients reasoned that the ultimate bricks of the material world should also be rigid and unbreakable. So Democritus called them atomos, which, in the Greek of his time, meant what cannot be cut. In the first decade of the 19th century, the word reincarnated from the pen of John Dalton in the context of his studies of weather phenomena as he reflected on the chemical combinations of gases. Like all new ideas in science, Dalton’s notion of chemical atoms was not enthusiastically embraced right away. But by the later half of the century, it became part of scientific discourse at least as a useful concept, though many still seriously doubted if such entities actually existed. Some even wondered whether empirical scientists even had the right to talk about things that were apparently beyond reach anyway. Today we know that atoms have a complex structure. It has also been revealed that at the core of matter, there are pure electric charges: positive as well as negative. The positive ones are the more massive protons. They are almost 2,000 times as massive as the negatively charged punctilious electrons, which, as they speed through our wires, constitute electric currents. In each atom, the protons are crowded together as a massive central focus called the nucleus. Within the nucleus, physicists have also detected another type of ultimate particle, devoid of any electric charge: the neutrons. By the second decade of the 20th century, physicists had uncovered that at the deepest levels, those minute atoms are strikingly similar to the sun and the planets: miniature systems where smaller entities whirl around larger ones. What William Blake had expressed poetically, physicists accomplished experimentally: They saw the world, not in a grain of sand, but in a grain of atom. In principle, the planets in a solar system could revolve at arbitrary distances from the central star. The distances from the sun arose from the accidents of their initial formation. 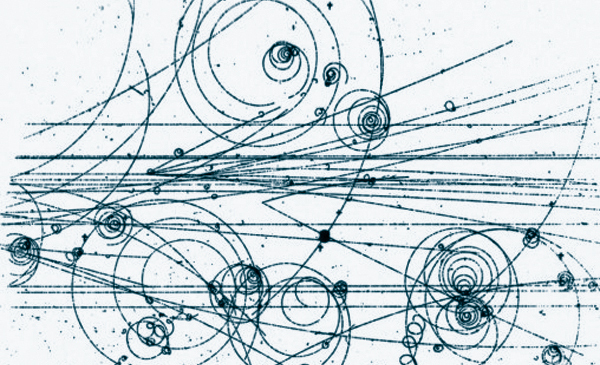 However, electronic orbits in atoms are well-defined: There are only certain orbits on which electrons can move. When an opportunity arises, an electron may jump from one allowed orbit to another. Such transitions call for absorption or emission of energy. When they occur, light (or other radiation) is absorbed or emitted. The distances of the orbits from the nuclei, their shapes and specifications, and much more have been precisely calculated. This reminds us once again of the power of concepts and mathematical analysis in our exploration of the physical world. The uncovering of atomic structure and subatomic constitution by physicists may be likened to the accomplishment of a group of blind people who, by their faculty of touch alone, feel their way through the entrails of a complex clock and find out how it works. Atoms are pitifully small. They are not measured in millimeters because they are way, way smaller: of the order of 10-12cm. The atom as a whole is empty, in the same way that the solar system is. Much of the atom is a void compared with the dimensions of the regions occupied by the material concentrations in it. This could well be regarded as Nature’s humor, for so large a universe to be built up of such minute entities. Things are stretched unimaginably both in the large and in the small, as if to baffle the human mind. One may wonder if we could have a universe more modest in size with atoms somewhat larger to cope with? Perhaps we could, but it would be nothing like the one we happen to be in. The electron possesses another property that would correspond to the spin of a top in our world of experience. Even as the Earth, while moving on its path around the sun, keeps turning about its axis, causing day and night, the electron too is endowed with what may be pictured as a spinning motion. This electron spin is an intrinsic property of electrons: Whether they be part of an atom, speeding past atoms and molecules in a wire as a current, or whether they are somewhere in empty space, unattached to any other matter, electrons always preserve their spin, just as they always carry their electric charge. The precise measure of how fast they are rotating is the same for every electron in the universe, and it does not change by an iota, no matter what happens to the electron or what it does. The unerring precision with which these basic units of the material world preserve their mass, charge, and spin is among the marvels of the physical world. Matter on our scale may break or swell, change its mass and speed, turn from solid to liquid to vapor. It can transform and decay, too. But the little bricks at the core of the material world preserve forever their basic traits. An electron and a positron may clash and mutually annihilate. But for as long as they are electrons and positrons, their mass, charge, and spin remain the same. They never become defective, losing a little charge here, or slowing down their spin for a while there. At the core, matter is like what Aristotle had imagined about heavenly substance: unchanging, even eternal. Protons and electrons don’t decay that easily. It is this invariant characteristic of the constituents of the world that keeps the world such as it is for eons. And yet, the laws are so designed that they also allow for change and transformation, variety and evolution on grander scales. It is the routine spinning and whirling of atoms, their attractions and repulsions, that give rise to the marvelous world we experience. If there is something more, we have not yet become aware of it. Even as the appropriate mixing of countless letters spilled on various pages constitute a fascinating book, the coming together in the right order and proportion of innumerable atoms is what makes you and me and everything else in the world what we are. How such combinations result in thoughts and feelings is as mysterious as how the combination of letters cause meaning to emerge in words.